When Beams Combine - The Americans .US! With high-energy lasers, the Army looks to optimize lethality and efficiency against multiple threats and targets. Solid-state laser weapons offer war-fighters unique capabilities for the battlefield: precision, controllability, predictability, repeatability and flexibility. These laser systems will enable Soldiers to defeat multiple threats and affect materiel targets. Each engagement, whether disabling an enemy’s communications antenna or causing low-order detonation of an artillery round in flight, has an average cost of $30. During the 1970s, the Army investigated carbon dioxide lasers. But there were issues with beam transmission through the atmosphere and difficulty focusing the beam to a small spot at the target. Both factors reduced the lasers’ effectiveness. Chemical lasers provided improved performance, but the hazardous materials required to generate the laser beam posed significant risk to warfighters. A safer, more efficient alternative to chemical lasers, solid-state lasers generate their beam by converting electricity into tightly focused laser light. There are two main types of solid-state high-energy lasers—greater than 1 kilowatt (kW)—in development today: thin-sheet and combined-fiber lasers. Of these two, combined-fiber lasers show the greatest promise for laser weapon systems on tactical and combat platforms because of their efficiency in converting electrical power to power on target. The Army, working with the High Energy Laser Joint Technology Office, initiated the Robust Electric Laser Initiative (RELI) effort in 2010. Four contracts were issued under RELI. The Army retained two of the contracts and later elected to scale a combined-fiber laser, designed by Lockheed Martin Corp., to a 50-kW class power level. Today’s fiber laser modules are limited to a little over a kilowatt. To reach higher power levels, the individual fiber laser modules need to be combined into one beam. The Lockheed Martin design uses a spectral-beam-combining architecture whereby laser beams of different frequencies are transmitted to a grating and combined into a single beam that is transmitted out of the laser at many tens of kilowatts. 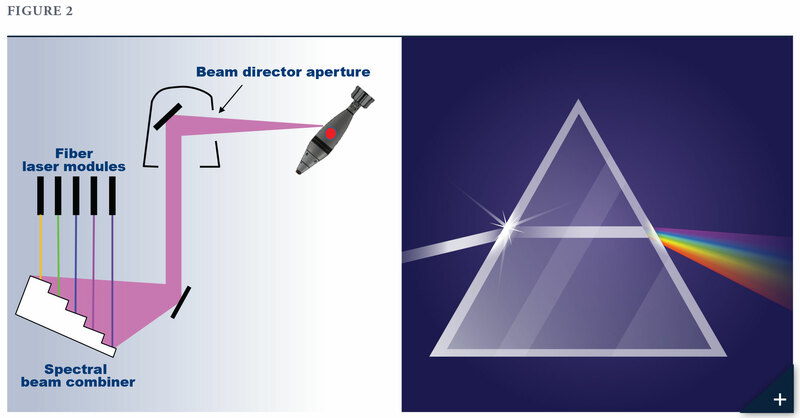 To understand the spectral-beam–combining process, imagine shining a beam of white light through a prism: The prism bends each of the frequencies differently, scattering the original beam of light into multiple beams of various colors. The spectral beam combiner does the opposite: It combines the different frequencies of each fiber laser module into a single beam. (See Figure 2.) Another beam-combining architecture, coherent-beam combining, is also being developed and matured within the high-energy laser science and technology community. The Army’s Indirect Fire Protection Capability, Increment 2 – Intercept (IFPC Inc 2-I) is an acquisition program designed to provide a materiel solution to protect troops from cruise missiles, unmanned aerial systems (UAS), and rockets, artillery and mortars (RAM). IFPC Inc 2-I has a Block 2 milestone decision in FY24 to add the counter-RAM capability to the program. Multiple subsystems are under development for integration into the weapon system. They include laser, beam control, electrical power, thermal management and fire control. The goal of the FY22 demonstration is to confirm that a pre-prototype laser system can defeat RAM threats in an environment similar to the battlefield. In FY14, this system underwent several proof-of-concept demonstrations, defeating small-caliber mortars and UAS. In FY16, the HELMTT was part of the Maneuver Fires Integrated Experiment (MFIX) 2016 at Fort Sill, Oklahoma, exposing the warfighter to the military utility of laser weapons. 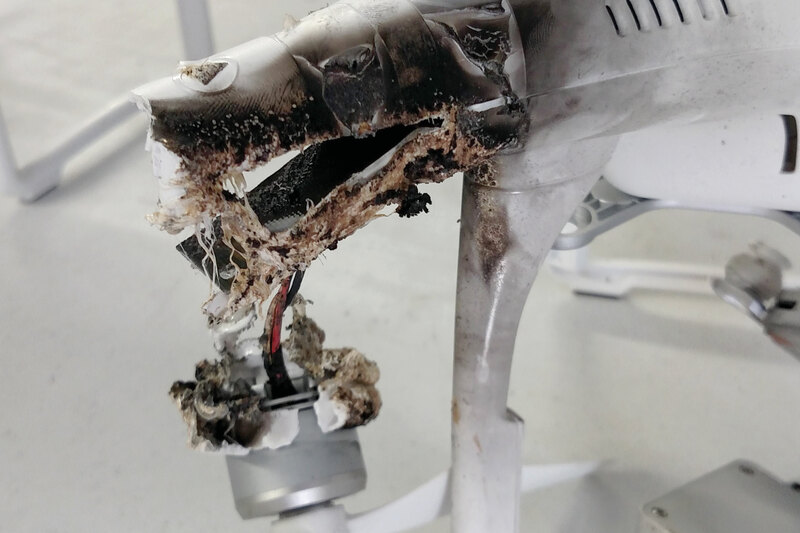 HELMTT also was used in the Joint Improvised-Threat Defeat Organization’s UAS Hard-Kill Challenge in FY17. In addition to these demonstrations, the HELMTT has collected laser propagation data in a variety of environments, from coasts to high deserts. These data helped anchor models used to predict laser effectiveness on the battlefield. To ensure that laser weapons will be lethal against assigned threats, the Army is developing vulnerability modules for RAM and UAS. The Solid State Laser Testbed on the High Energy Laser Systems Test Facility at White Sands Missile Range, New Mexico, collects lethality data for these targets. Engineers there analyze each threat to determine the best aimpoints, as well as the total laser energy required to defeat the threats. The results are threat-specific vulnerability modules in a format common across the DOD laser community. Laser lethality is one of a number of areas in HEL technology development where the services and agencies work together and share data. The Army has been working with industry on a concept for a high-energy laser combat platform to be used in warfighter experimentation. Integration of existing laser subsystems began in January 2016; within four months the Mobile Expeditionary High Energy Laser (MEHEL) participated in MFIX-16 at Fort Sill. In preparation for MFIX-17, contractors trained Soldiers to operate the MEHEL 2.0. During the integrated experiment, these Soldiers shot down small fixed- and rotary-wing UAS—a first for the Army. The Army is using lessons learned from MFIX-17 to make the MEHEL easier for Soldiers to operate. MEHEL 2.0 will also be part of MFIX-18. The Multi-Mission High Energy Laser (MMHEL) is a technology maturation initiative starting in FY18. Technology maturation initiatives facilitate the transition of key technologies to acquisition programs. 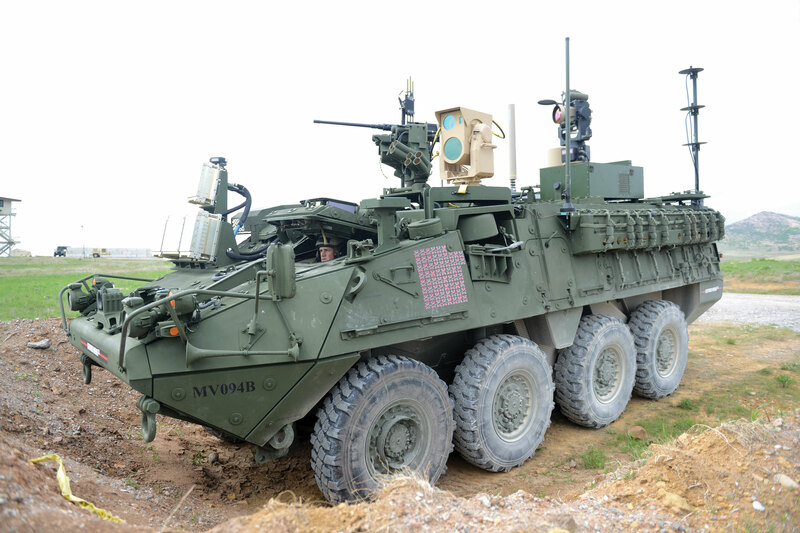 The MMHEL will be a 50-kW laser system on a Stryker, designed to reduce risk and inform requirements for the Maneuver-Short Range Air Defense objective capability. The MMHEL will undergo an operational demonstration in FY21 to validate the laser system’s counter-RAM, counter-UAS, counter-battery targeting and counter-materiel capabilities. In addition to the HEL systems developed for data collections and demonstration, the Army is conducting basic and applied research in HELs. The basic research is focused on developing technologies for next generation high-energy lasers, tracking systems and control algorithms. The Mobile Beam Control System Integration Laboratory will be built to investigate, mature and verify the performance of next generation beam control technologies. This trailer-mounted laboratory will provide the ability to collect performance data on beam control components in a variety of atmospheric environments. KIP R. KENDRICK is chief of the High Energy Laser Division at SMDC/ARSTRAT’s Technical Center, at Redstone Arsenal, Alabama. He holds a Ph.D. and an M.S. in chemistry from Washington State University and a B.S. in chemistry from Southern Oregon University. He is Level III certified in engineering and is a member of the Army Acquisition Corps.